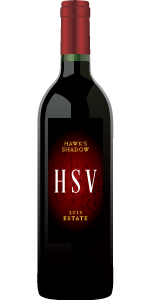 This Estate wine was handcrafted by our family from low-producing estate vines. The blend is established by Mother Nature and, like children, each vintage is different and has its own unique charm but we love them equally. This 2011 wine offers rich clean aromas of black cherry, currants, and violets wrapped in light sweet oak. The wine has robust structure and lingering tastes of plum and dark chocolate. Single barrel Syrah with a unique quality worthy of special bottling. Single vineyard Cabernet aged 36 month in new Hungarian oak. Single vineyard Cabernet aged 36 month in new French oak. This Estate wine was handcrafted by our family from low-producing estate vines. Cabernet, Tempranillo, Syrah blend aged for 38 months in American oak. Tempranillo, barrel aged 34 months, yielding a more European style wine. The drought relief of 2013 manafested a rich layer of Cassis and leather on top of the herbatious and earthy Cabernet Sauvigion fruit from Eperon vineyard. This is the best representation of cab we have produced and making me a believer in the potential of this vineyard site. Spending 34 months in a mixture of Hungarian, American, and French oak barrels produced harmony in the end to end sensory experience. A finish of pencil lead, cedar, and tart cherry seals the deal. 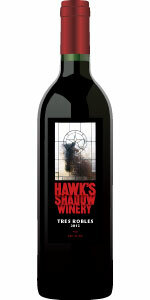 This 2013 version of Tres Robles is a blend of 72% Mourvedre, 14% Syrah, and 14% Tempranillo. Mourvedre dominated this wine with aromas of pomegranate and plum, nuanced with leather, pepper, and warm smokey earth. The finish of dusty minerality portrays the parallel between Texas terroir and the southern Rhone. You should be rewarded with letting this bottle rest in your cellar for a year or two.